From a parent’s perspective, there are a million benefits to having your child’s birthday party somewhere other than your house. There are more options for activities, plus it can potentially cost less than purchasing all the supplies, equipment and food yourself. And best of all, someone else handles the setup and cleanup so you can spend more time taking pictures and making memories. 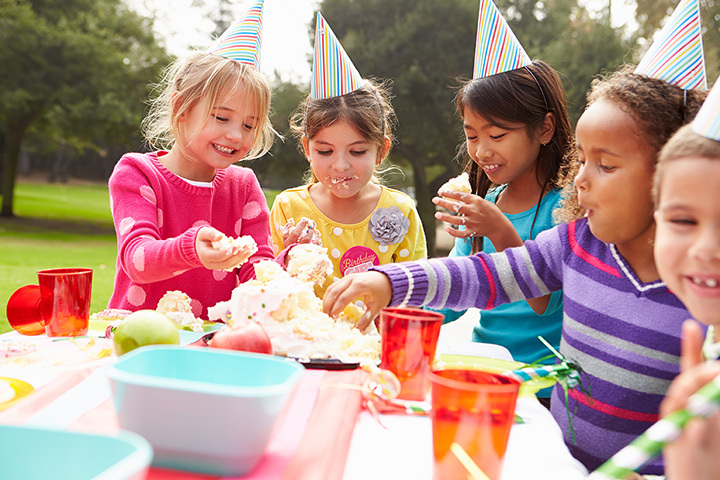 If you want to book a celebration with a place that knows how to party, check out these 10 best places for kids’ birthday parties in South Carolina. Ahoy, birthday girls and boys! Kids can test their sea legs as they set sail on the Sea Gypsy pirate ship. Private parties include face painting, tattoos, and bag full o’ booty to take home. You can also take advantage of their private on-land birthday area for refreshments and presents. For your inner scientist, your birthday boy or girl and their friends can get hands-on in this kid-friendly science lab. Take your pick of several different science themes that focus on fun science experiments like slime, glow sticks, plant life, explosives, and other action-packed adventures. You bring the cake and plates, they take care of the rest. Who knows? Your child might discover the next big breakthrough in the science community. Your child can get the royal treatment at Once Upon a Dream. Here the most magical fairy tale princesses come to life and enchant your birthday beauty with games and activities that will dazzle them for years to come. You can book a spot at their event palace, or have them come to your party venue. If your child loves horses, this is one party that won’t be soon forgotten. Eden Farms features a farm-style birthday celebration suitable for any age. Your child and their friends will enjoy horse rides around the arena, a playground area, games (ever try to find candy in a haystack? ), and other activities. There’s an inner gymnast hiding in every kid, and Rolly Pollies can help your child and their friends tap into their secret tumbling powers. This action-packed birthday venue delivers an always-moving experience, which is perfect for when the cake-and-ice-cream sugar high kicks in. Parties can expect exclusive access to the whole gym, as well as a private party room chock full of yummy birthday goodness. Can’t put together an over-the-top party like you saw on Pinterest? Call in the party experts at Teacups and Trucks! They specialize in Wow-worthy-themed children’s parties for kids of any age. From setup and cleanup to quality decorations and cups and plates, all you’ll need to worry about is showing up. You can book a party on-site or have their party mobile come to you at any venue you choose. Your budding young star can take center stage on their special day at SC Children’s Theater. Your child and their friends will enjoy hands-on acting games, fun costumes, and a chance to star in a grand finale performance. If you can’t choose a single birthday activity, choose them all at Fun Warehouse. This venue brings the best worlds of bowling, skating, inflatables, go-karts, arcade, and laser tag together under one roof. You can choose the birthday package that best suits your crowd (and your budget) in a top-rated environment that’s sure to please. For your child’s inner artist, let them create their own painted pottery masterpiece at Glazed. Your child and their friends will delight in decorating their own artistic work that they can take home as a party keepsake. Prices start at just $10 per child, which makes it affordable for nearly any party budget. Planning your child’s birthday party feels like anything but a day at the spa, unless you’re planning the party at an actual spa. Your royal princess and her friends can feel pampered with spa treatments, karaoke, games, crafts, and cake.